Dissolve half a tablespoon of baking soda into a cup of water and consume it. Eat a banana or two in the morning to protect your stomach from painful digestive acids. A cup of mint tea after a meal has a detoxifying effect on the body. 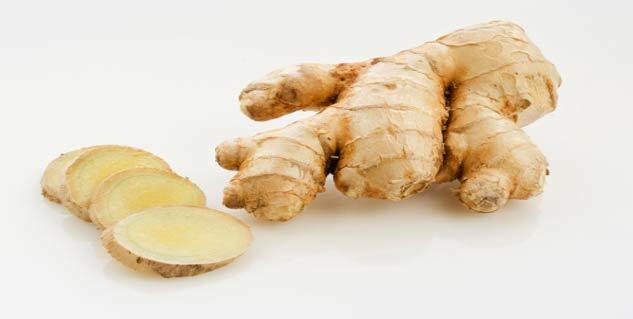 Ginger root extract can be added to delicacies to help prevent heartburn. Heartburn is a common problem, which is triggered when stomach acid backs up into the oesophagus. There are several medications available to calm the heartburn, but treatments not always address the condition properly and it turns up again. Natural treatment of heartburn is another way to get relief of this annoying problem. Dissolve half a tablespoon of baking soda into a cup of water. As soon as it is consumed, the acids are neutralised. You may not like the taste, but it is recommended to drink it quickly through a straw. Action is immediate and it instantly releases gas from the acid build-up, making one belch. Have a banana or two in the morning to coat your stomach and protect it from painful digestive acids. Easily digestible, bananas helps treat indigestion naturally besides making sure that heartburn doesn’t recur. A cup of mint tea after a meal has a detoxifying effect on the body. It soothes the stomach and prevents heartburn from occurring. It works as a treatment for heartburn only in the form of tea, but don’t confuse it with peppermints. Ginger root extract can be added to delicacies to help prevent heartburn. Before adding ginger ale to the preparations, make sure you peel it. A glass of milk everyday relieves heartburn by buffering stomach acid, (particularly fat), to stimulate the stomach to produce more acid. It is advised to drink no more than half a litre of milk (two times a day), between the meals for treating heartburn. When you experience any sign of heartburn, drink two-three glasses of water. Drinking water pushes the stomach acid out of the oesophagus causing you much relief. If you are having heartburn problems, try to avoid the consumption of acidic foods such as raw veggies, fruits, poultry products and caffeinated drinks. Remedies only work when you complement it with attempts to prevent heartburn. It is advised to figure out foods that trigger your heartburn, which are usually caffeine, sodas, chocolate, citrus fruits, juices, tomatoes, onions, and high-fat foods. To keep digestive tract healthy and moving, one should eat more fibre and reduce portion sizes. Medications such as may irritate your stomach to cause heartburn. If medications make your stomach feel uncomfortable, change your medications after consulting a doctor. Among other strategies that will help soothe your heartburn include losing weight, workout and give up smoking/drinking.